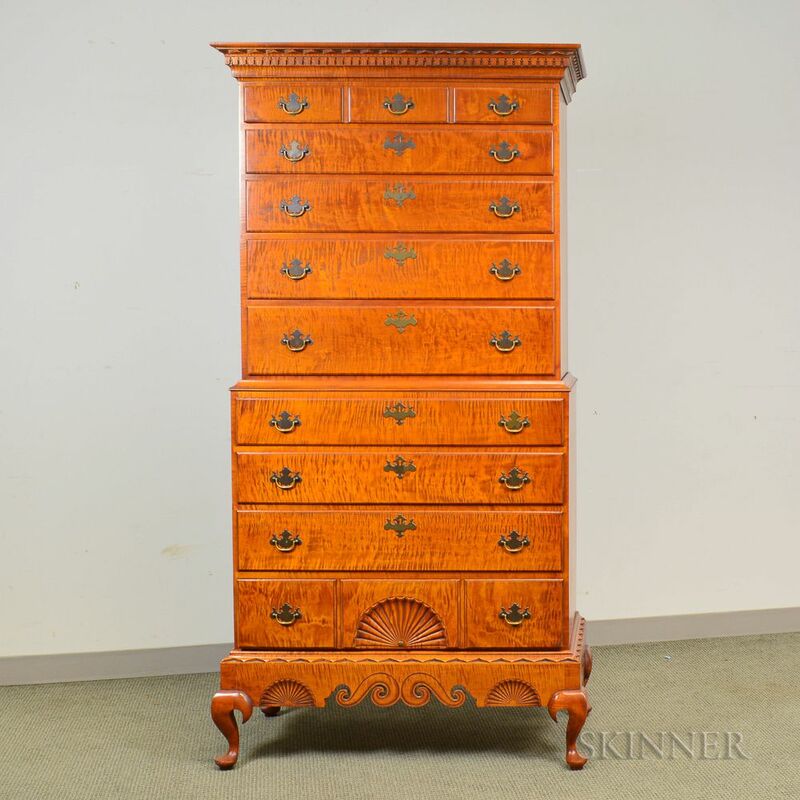 Eldred Wheeler Queen Anne-style Dunlap School Carved Tiger Maple Chest-on-chest-on-frame, ht. 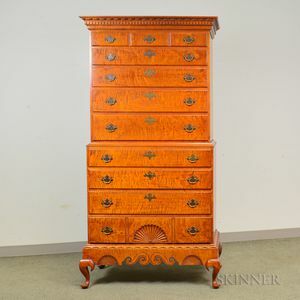 80, wd. 40, dp. 20 in.